nice article Nik. but as someone born in Auckland in he mid-60s and who grew up there in the 70s and 80s, i feel your view is somewhat Christchurch-centric, unsurprisingly. the Asian influence definitely built up momentum starting in the early 80s when local Chinese with ties to Hong Kong began opening more restaurants and doing very well based on the huge popularity of their takeaway businesses which really did huge turnover from the mid-70s onward. by the time i started university in 1985, there was already a fast-expanding choice of Chinese and other Asian restaurants in Auckland, and they seemed to do pretty well. you need to remember that in the lead-up to the handover of HK in 1997, there was reasonably substantial immigration into Auckland (enough to prompt the nickname "Chowick" in reference to the Chinese community in Howick). well, having lived in Japan for twenty-something years, tori sashimi is not passing my lips anytime soon. neither is basashi (horse-meat sashimi), which is a local delicacy in Nagano prefecture, where i live. and as for teriyaki chicken sushi... totally a western adaptation (California/NYC/Honolulu, i would guess). there are some non-seafood ingredients used in traditional sushi, but these are mostly vegetable-based. although in Takayama (Gifu), which is famous for Hida-gyu (beef) i had some pretty amazing beef nigiri-zushi (beef cooked rare). Since 2005 I have advocated for the threshold to be halved to 2.5% (one-fortieth of the party vote instead of one-twentieth). With a five percent threshold that means a party has to win the nominal equivalent of six seats, whereas the nominal equivalent of three seats seems much more realistic, fair and democratic. I think there are valid arguments for retaining a threshold in excess of one seat. Anyway, the convenience of 2.5% is that if it is reached the party is guaranteed at least three seats, which has practical advantages within the way parliament works. And the coat-tails provision should definitely be scrapped if the threshold were to be halved. In this election, TOP wouldn't have made it on the face of the result, but I think that if the threshold were 2.5% they would have attracted a lot more votes from people who did not want to waste their party vote on a party unlikely to make the threshold. So there is a strong chance that they would have made it. The current version of MMP is not functioning as well as it could if it was fine-tuned to make it fairer and more transparent. It's mind boggling that it took more than five years before any media organisations began to investigate the background of this MP. Dr. Jian Yang has never mentioned his education or career in China in any of his CVs. That's a 16-year blank (1978-1994) in his background, ffs. And after six years as a NZ MP, we now have some questions being asked. Well, it certainly puts into perspective who the National Party are actually working for. But there’s no rule that says Labour needs two partners. Obviously there is no rule, but a cursory look at the numbers suggests strongly that they will need both the Greens and NZ First to form a government. I mean, are Labour likely to get the largest share of the party vote? Seems pretty unlikely. 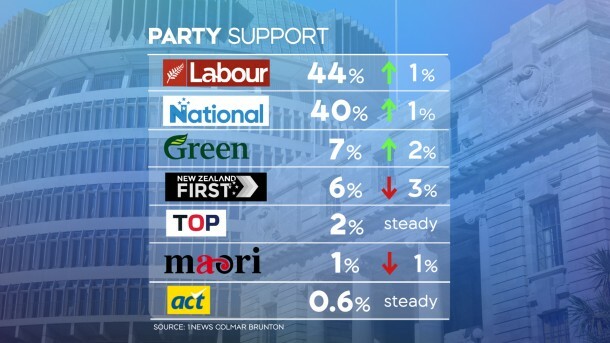 Will Labour plus Winston have enough to overtake National and whoever they can scrape up as potential coalition partners? That also looks like a very long shot to me. Hence the three-party coalition looks to be the most realistic hope of getting rid of National. This latest poll seems pretty bizarre though. Greens going from 15% to 4% in one go? Even allowing for all the negative publicity around Metiria's resignation it still seems too much of a drop. I really would be shocked if they go under 8% in the election. If the Greens really do fail to meet the threshold, then a change of government is pretty much impossible. Labour needs two substantial coalition partners to form a government. So, abandoning the Greens because you think there is a danger that they might not reach 5% and thus waste your vote is potentially very counterproductive, IMHO. i'm really struggling with the idea that the content of that Andrea Vance article is not satire.